How life in Poland has changed since those far off days! The charm and unique flavour of the country is slowly leaching away in the affectionate embrace of the EU. No wind and silence. Virgin snow. White lace. A capillary of frost on the delicate network of branches. Deep drifts against the base of the tree trunks. I wandered down to the river past the frozen pond where I had spied a deer on one occasion in the summer. Zosia drew me back to Poland many times over the years that followed. But no visit was more moving and memorable than that at the turn of the millennium. We spent Christmas Eve in Warsaw under a heavy blanket of snow, the heaviest for many years. The Vistula lay half-frozen under a crusted blanket of white ice. A group of nuns were gathered around the swings in the park, giggling and laughing in arcs of joy, their habits like the wings of bluebirds against the snow. Preparations for the last Christmas of an epoch were complete. Zosia and her mother seemed to have been cooking for hours, days, weeks. The tree was dressed and lit, piles of presents placed under the branches and the traditional empty place laid at the table should an unexpected wanderer call. The pets had begun to speak in tongues (different languages) – well, that is the folk tale anyway. Twelve dishes are served, symbolizing the twelve apostles. Red barszcz (beetroot soup), carp in jelly, mushroom and cabbage pierogi (similar to ravioli) and other dishes too numerous to list. The blessed opłatek (Christmas wafer) embossed with a Nativity scene was broken and shared among the family with good wishes for the future. Presents were opened and carols sung. For that special New Year’s Eve we headed into the High Tatra mountains to stay at the great Renaissance castle of Niedzica. This mysterious frontier castle, perched on its limestone crag above a frozen lake had lured me to the region. The eyrie had originally been built by the noble Polish–Hungarian Berzeviczy family above the gorge of the wild Dunajec river early in the fourteenth century. The castle is situated in the remote area of the Spisz in the south of Poland and to the east of Kraków. I had hoped to hear the folk tunes that inspired Chopin’s Rondo on Krakowian themes written when he was eighteen. We had wandered eastwards into the Spisz, a region that has always attracted me by its backwardness and the music of its festive gypsy communities. Following the snowy valley of the Łapszanka river, one climbs between quaint wooden houses to the old villages of Wyżni Koniec and Rzepiska where the most spectacular view of the High Tatra Mountains of Poland and Slovakia opens out in a vast panorama. At least thirty major peaks, craggy and treeless, covered in snow and shifting in golden light, slice into a pale sky. The tinkling harness of working horses pulling hinged sledges of logs through the dark stands of fir drift on the wind. The horses emerge from the forest, clouds of steam gushing from their nostrils, the gap-toothed peasants in woollen caps shouting rude intimacies to the animal and cracking their whips, crossing the fields at the base of the mountains in wide arabesques, approaching the village along white paths then to suddenly struggle up a steep slope onto the main street. The drivers holler rough greetings to elderly women leaning out of cottage windows in scenes reminiscent of 1920 or 1820 or 1720 or 1620 such is the unaltered chronology of the place. In many houses merely a thin wooden wall separates man from beast. Small shingled churches are scattered through the Spisz famous for their polychrome interior decoration. 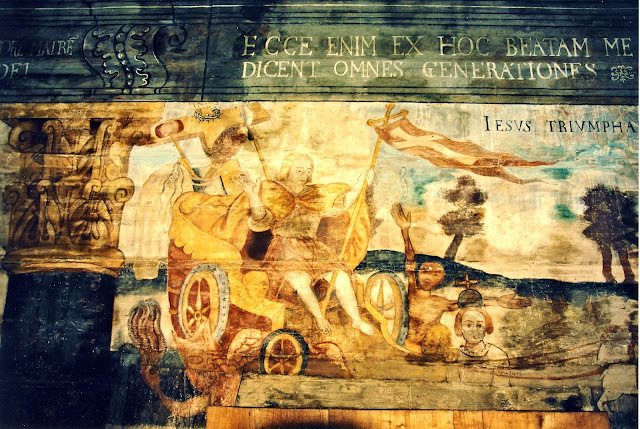 In Trybz near the castle there are some exceptional naïve paintings in the seventeenth century church of St. Elizabeth. A telephone call secures the key as long as one is prepared to outface the manic, tethered dog that looks like a ragged wolf circling on a red lead secured to a roof beam in the barn. A young boy quietened the carnivore and we entered an extraordinary damp wooden world of saints, Tatra landscapes (the oldest in Poland) and the naked figures and devils of the last judgement. The paintings executed by a priest long ago were intended as an encouragement of faith for a simple congregation unable to read. A fairyland waterfall like a piece of miniature theatre scenery tumbled nearby. Unspeakable smells erupted as a man mucked out a cow shed sharing a wall with the living room of his dwelling. 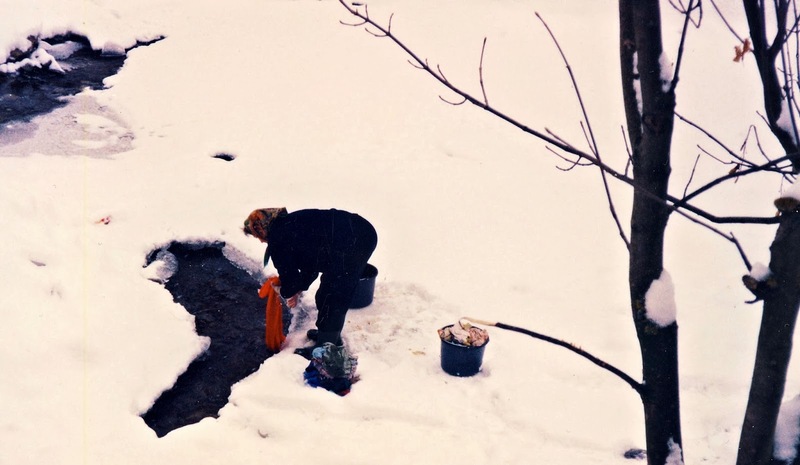 A woman dressed in black had cut an opening in the snow and ice of a stream and was washing clothes in the freezing water. Preserved in time and surprisingly distant from civilization, the Spisz passed whimsically to and fro through history between the Austro–Hungarian Empire, Slovakia and Poland. Zosia and I spent the previous night listening to odd noises in our room, the Komnata ‘z duchami’ or Ghost Room, located in one of the corner towers of the castle, formerly a chapel. The irrational was soon forgotten as the New Year’s Eve ball began with a sumptuous feast. Opulent jewellery, bright in the flickering candles, rose and fell on the low-cut gowns of women breathless with dancing and amorous laughter. Polish mazurkas and polonaises together with Hungarian gypsy music accompanied flurries of snow whispering past the icy windows. In the heat of dancing the gentleman removed their dinner jackets and hung them on the high backs of the mahogany chairs. A little girl in a voluminous, yellow ball-gown galloped about in red shoes. A fierce fire burned in the fireplace below the ballroom, the walls covered in antlers and artless Polish family portraits. promises were made for another thousand years. I pulled my sheepskin jacket over my dinner suit, made a brief excuse to Zosia, my Polish princess, and wandered alone into the snowy courtyard beneath the golden clock to smoke a celebratory aged Dunhill Club Havana. Snow fell from the trees in a muffled hush. The night was silent, clear and minus twenty degrees, the moon full and the sky hectic with stars. The air was like cold steel to breathe. I lit the cigar and watched the smoke drift listlessly in the air above the rugged walls and ancient windows. Entrance to the castle is gained through an oak door banded in iron strap-work strengthened with massive studs. Feeling restless and in need of air, I heaved it open and wandered out onto the frozen carriage ramp. An arch loomed above, bearing the device of the Hungarian Horvath family, owners of the castle from the eighteenth century until the communist takeover after the Second World War. After my return to the dining hall suddenly at 2.00 am the heavy tapestry curtains of the entrance hall were flung wide and three flaming piglets were wheeled in on silver trolleys. Cheers filled the vault as carafes of vodka glowed once more on the tables. Portions of the succulent meat were carved with a flourish. The scintillating ball was meandering to its close as we emerged into the night. 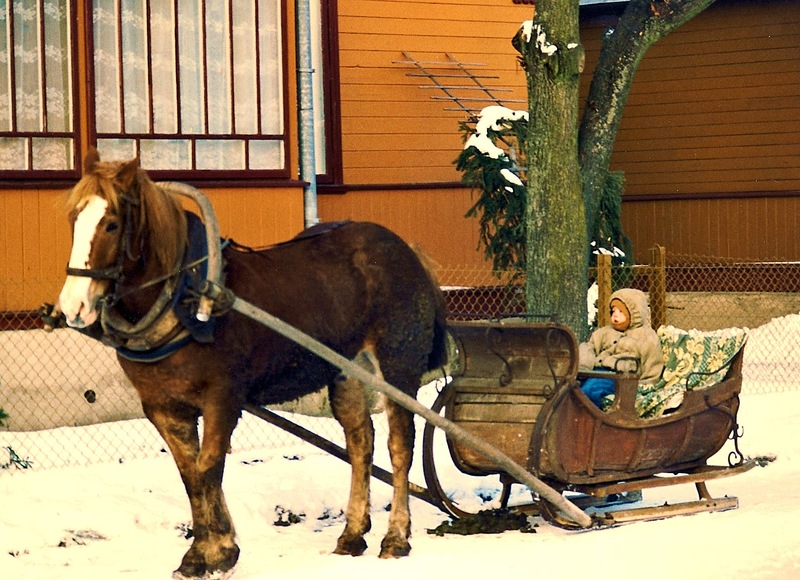 A yellow sleigh was drawn up waiting for departing guests, its curved sides decorated in crimson banding. A horse covered in a rustic blanket munched some hay carelessly thrown on the ice. Torches burned on either side of the driver, who appeared to be asleep. Flames glittered off the steel runners as I leaned against it and loosened my bow tie. A disembodied voice emerged from the recess of the driver’s fur-lined hood. I could scarcely reply from the surprise of hearing a human voice cracking the silence. He pushed back the cape to reveal a weathered face, the face of a mountain dweller. His Pieniny dialect was difficult to understand at times, but the tale he told me on that millennium eve has fascinated me ever since. It was a confused account, as he delivered it, involving an impoverished eighteenth-century Polish–Hungarian nobleman, his voyage to Peru and marriage to the last princess of the Incas, their flight to Venice after a public execution of revolutionaries, the family forced to flee to Poland from the Venetian island of Burano carrying with them a golden treasure protected by a coded curse. 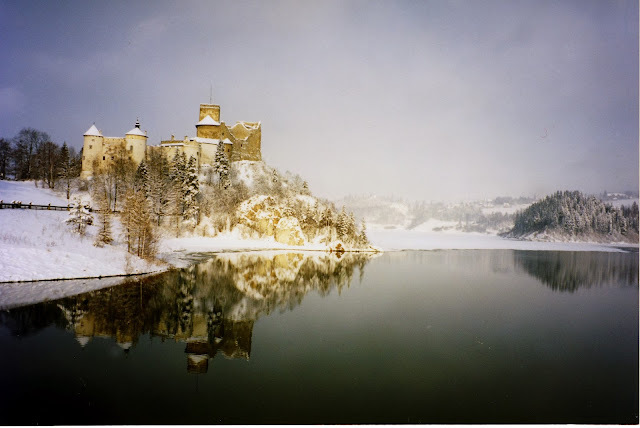 Pursued by Spanish assassins and Serenissima spies they had sought refuge in the ancient castle of Niedzica in the High Tatra mountains of Poland. The narrative was rudely interrupted by the arrival of some fifteen sanie (sleighs) with flaming torches for the kulig (sleigh ride) and bonfire in the forest which would conclude that magical evening. I rushed inside to collect the Princess. 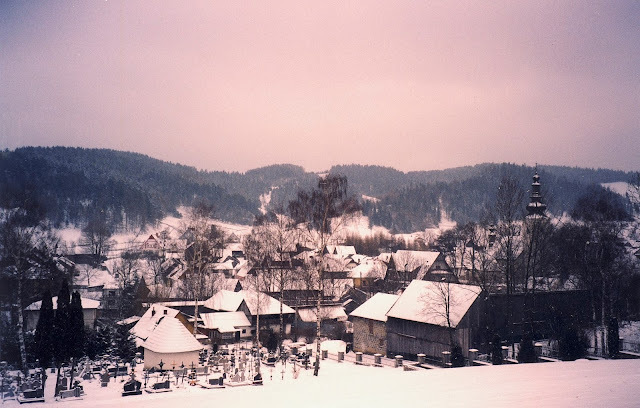 Amid the drivers shouting and arguing harshly in peasant Pieniny patois, the tinkling of bells, the neighing horses and cracking of whips we set off in minus twenty degrees of frost. A spectacular group of perhaps twenty sleighs snaked between the pines, the women wrapped in furs and the men in heavy overcoats covering their dinner jackets, some smoking pipes and cigars. Pale blue light reflected off the moonlit snow, limestone crags and wooden cottages as we bowled along, each sleigh a pool of warm light, the occupants laughing and chattering as sparks from the bitumen torches flew onto their clothing and lodged in their hair or fur caps. The torches blew wildly in the wind and suddenly we were racing. Passing and re-passing on the narrow icy road, the faces of the occupants bathed in light were gleeful, urging the driver on to even greater efforts, the excited horses’ hooves slipping, sparks from the torches speeding in long trails now. Two huge bonfires had been built in a clearing and mulled wine with plenty of cinnamon was served from steaming cauldrons warming our frozen bodies and sedating our minds. Kielbasa (sausages) were attached to long poles and cooked over the resinous flames. Humorous and obscene folk songs were sung around the fire about ‘Maria’ lovingly making pierogi for her faithless husband. The blanketed horses dimly visible under the trees were eating hay. 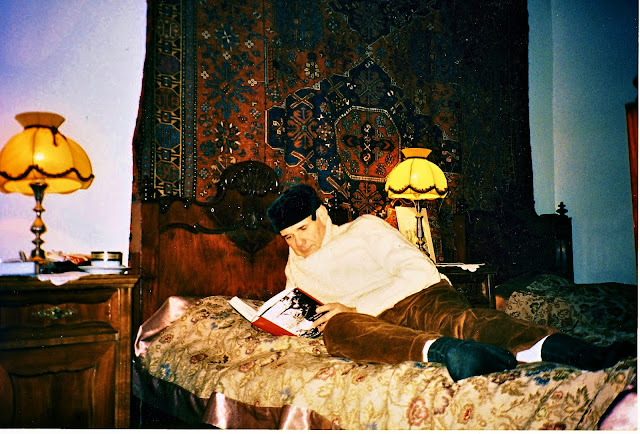 Slow on the long return, a heavy pull up the hill to the castle and a luxurious feeling of exhaustion as the steaming animals rested and the fur blankets were taken from around our knees. It was 5.00 am when we finally passed under the stone cross and crawled into bed in the ghost room of the castle. 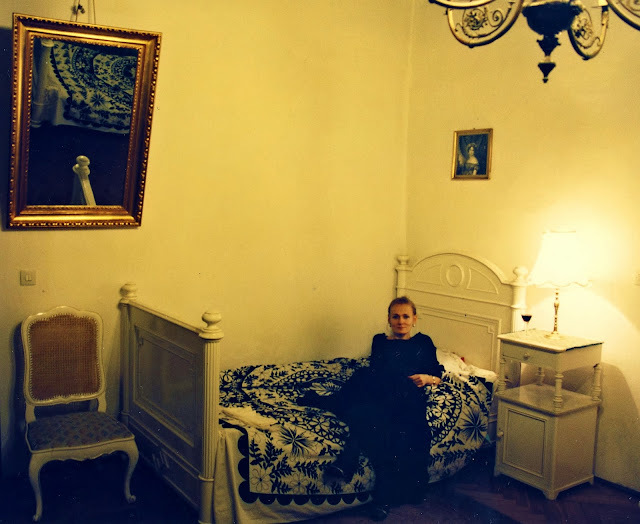 It was noon when I awoke with Zosia in my arms and decided to move to Poland for good. I could not have known then it would take another six years.